B.B. BATTERY BP1.0-6 6 volt 1.0 Ah Rechargeable SLA battery. Our B.B. 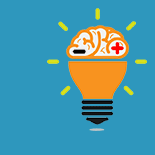 BATTERY is commonly used in emergency lighting, alarm systems, meters, medical equipment and industrial equipment. There is a premium alternative to this product for $9.67. 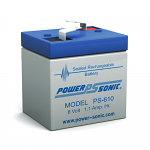 See the Power-Sonic PS-610 | Rechargeable SLA Battery 6v 1Ah.